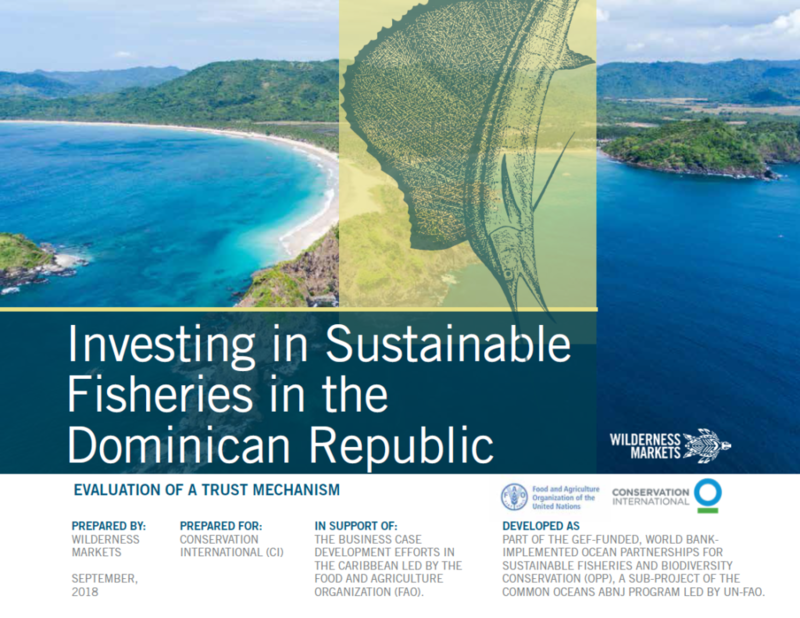 We’re working on behalf of Conservation International to support the business case development efforts that can help build a pipeline of sustainable fisheries impact investments in the Caribbean. The work is led by the Food and Agriculture Organization (FAO), and Wilderness Markets and others are assessing the potential opportunities for investing to improve the environmental, social, and economic sustainability of fisheries in the region. You’ll find our work for the Dominican Republic on this page; please check our Grenada page for that work. Our work did not identify traditional business cases in the Dominican Republic that could contribute to a pipeline of investment opportunities. However, developing a trust mechanism is a potentially appropriate response. Doing so could address the constraints and challenges associated to billfish conservation in the context of commercial and sport fishing. We highlight two interventions in the brochure: the implementation of a spawning area closure and improvements in FAD management.